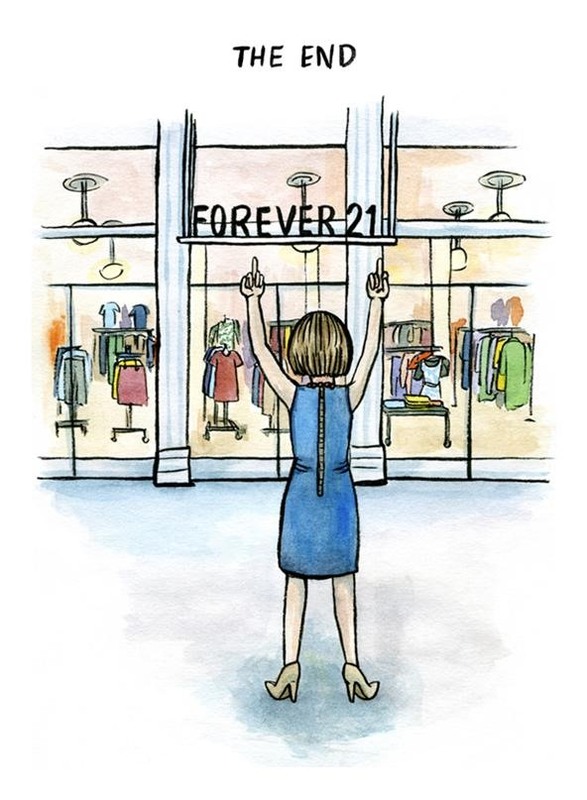 Illustrator Lisa Hanawalt innovates the typical gossip rag by rendering wicked rumors of Devil Wears Prada villain Anna Wintour as clever cartoon drawings. Though akin to political cartoons, the result is more US Magazine (if US was prettier to look at). 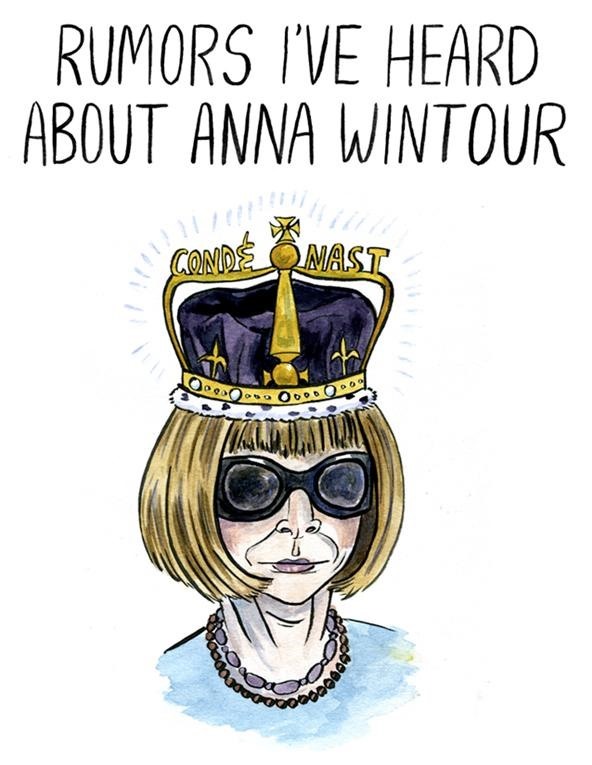 As usual, Wintour is depicted as soulless (and to think, she supposedly bedded Bob Marley!). 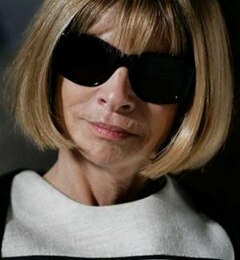 Unwritten rules imposed by Wintour at the Vogue offices forbid junior staffers from initiating conversation with her; an editor who greeted her on the elevator was reprimanded by one of Wintour's assistants. A visiting reporter saw a junior staffer appear visibly panicked when she realized she would have to ride the elevator with Wintour. Once a junior editor saw her trip in the hallway, walked past without offering assistance, and was later told she "did absolutely the right thing." Even friends admit to some trepidation in her presence. "Anna happens to be a friend of mine", says Barbara Amiel, "a fact which is of absolutely no help in coping with the cold panic that grips me whenever we meet." Her attitude led Peter Braunstein, the former Women's Wear Daily media reporter later convicted of sexually assaulting a coworker, to plan her murder. After receiving only one ticket to the 2002 Vogue Fashion Awards, which he perceived as a snub, he became so angry that WWD fired him. At his 2007 trial, prosecutors introduced as evidence a journal he kept as a computer file in which he stated his intention to kill her. "She just never talked to peons like us", he complained. 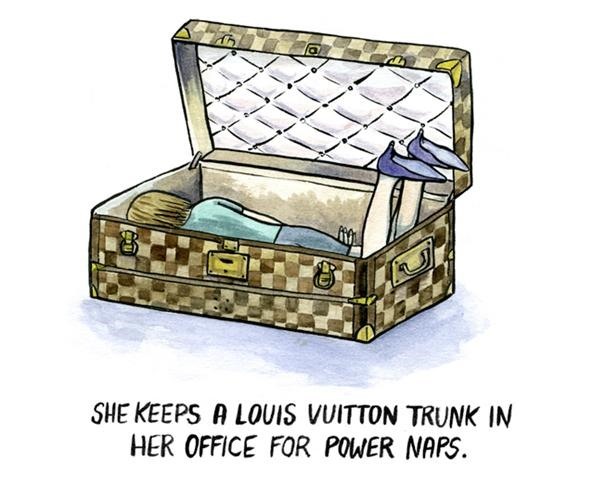 Hanawalt is a talented and sharp-tongued cartoonist and illustrator living in Brooklyn. Her work has appeared in the NY Times, Chronicle Books, Vice Magazine, McSweeney's, The Believer, Arthur Magazine, Motion Theory, LA Weekly, and Teefury. 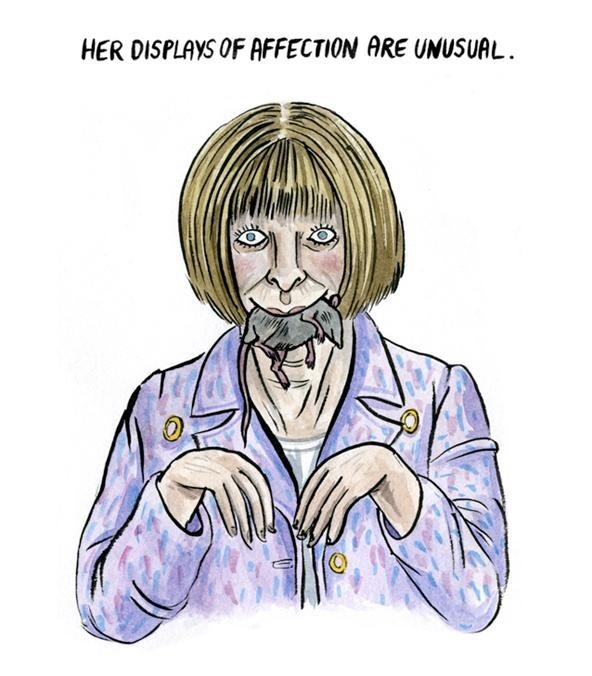 In addition to Wintour, Hanawalt's also done quite the hatchet job on Martha Stewart.